Purse in concept designed to wear flowers. Woman and flowers is one of my classic that will not pass away. #AIRBAG A way to modernize this classic, combined with practicality and comfort. 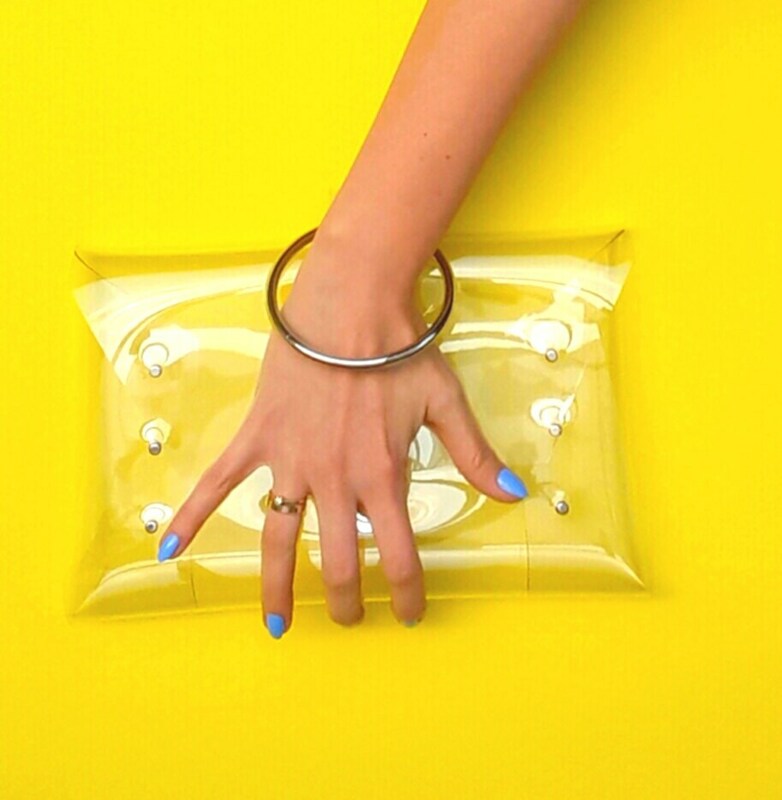 The bag is made of a resilient crystalline PVC which is easy to keep clean. Minimalist and drive rivets makes it looks great also as minimalist-exhibitionistic. That is, in the middle of a trendy gadget or accessory that your styling and finish with subtly shows off your personality. You can complete your harmony as putting some compatible things with your daily dress into the transparent bag and you are ready to go! Each bag is hand cut and carefully to make it by Hand. 100 % handmade .It is very nice clutch, purse for your party and every day. 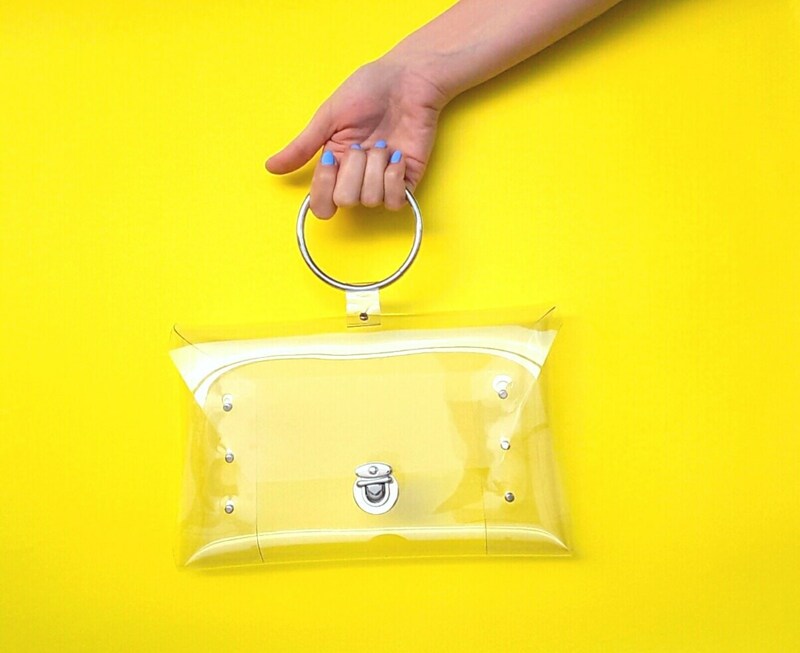 It is a see through bag.Easy to find everything in your bag.